Live from One Star Bar In Chelsea, TriviaNYC & QNA present the most raucous trivia podcast on the internet, hosted by Tony Hightower (Jeopardy! & Who Wants To Be A Millionaire champion, & MC of the Trivia Championships of North America) and John Chaneski (from NPR's Ask Me Another and the podcast A Way With Words). Grab a drink and play along! We have weekly prizes for listeners, as well as for the players in the room! This week: we're LIVE from the American Crossword Puzzle Tournament in Stamford, CT, with special guest Will Shortz! 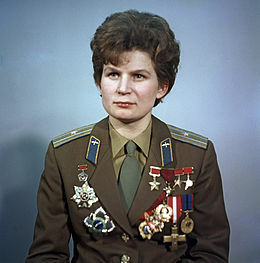 This week: Questions on POPES, POCKETS, and VALENTINA TERESHKOVA. Among many other things. This week: Questions on SHARP THINGS, LIONS, and the FLIGHT OF THE CONCHORDS. Among many other things. This week: Questions on BOMBS, TOUCHING, and our NAME THREES ROUND. Live from One Star Bar in New York City, the new Q&A trivia podcast brings you 30 questions a week, delivered live from the bar. Play along with the players in the room while hosts Tony Hightower (MC of TCONA, Jeopardy! & Millionaire Champion) & John Chaneski (NPR's "Ask Me Another") walk you through the most entertaining half hour of trivia you'll hear all week. Follow along on Twitter & Facebook @QNATrivia for the chance to win prizes! © All contents (c)TriviaNYC/Quizzing North America (2016) unless otherwise attributed.